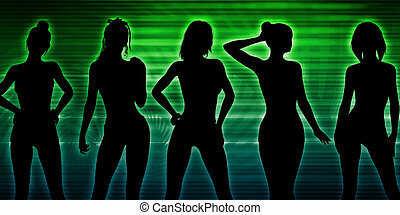 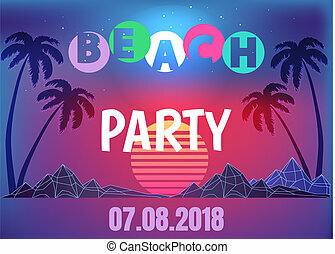 Beach party neon banner in 80s style. 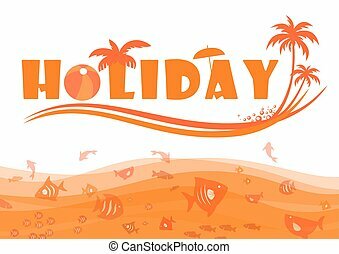 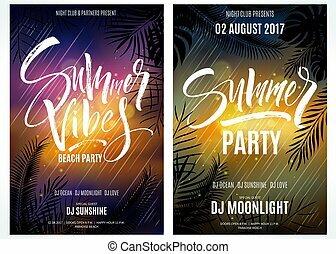 Tall tropical palms, rocky mountains and huge sun at sunset surrounded with starry sky vector illustration. 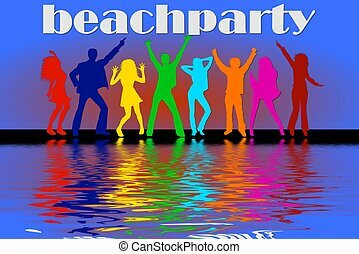 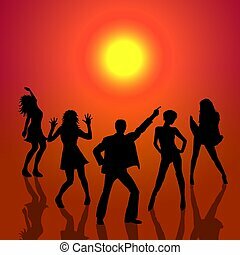 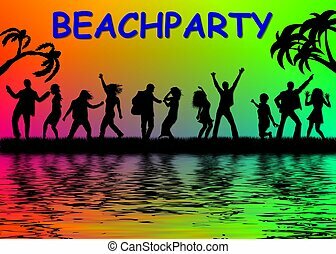 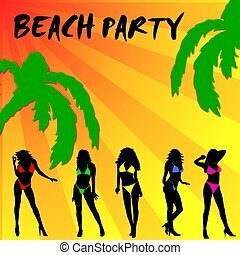 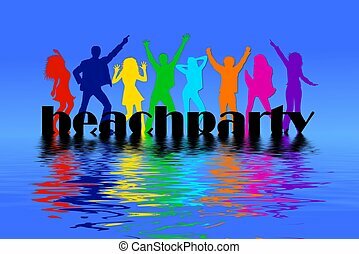 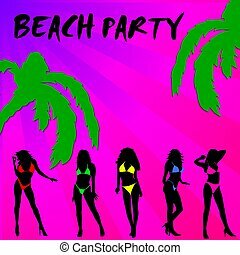 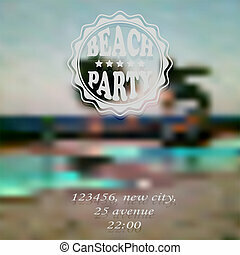 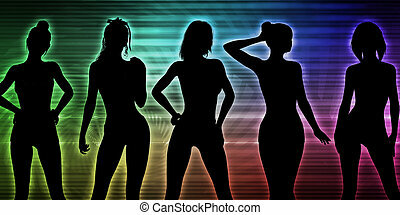 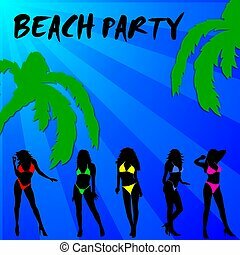 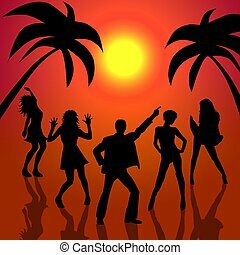 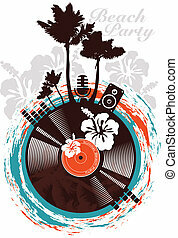 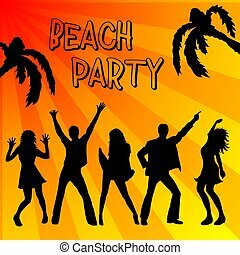 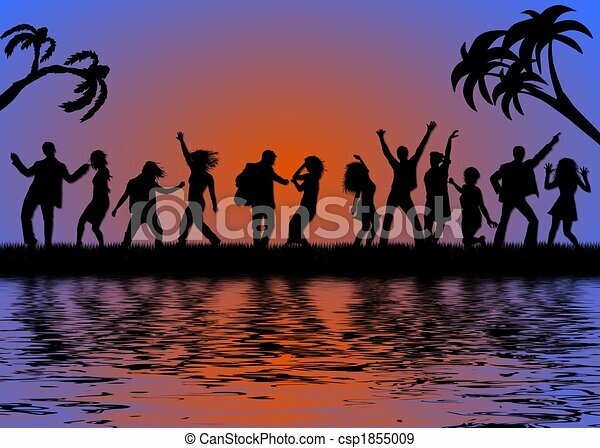 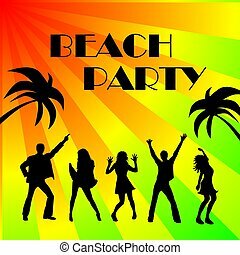 Beach party poster template. 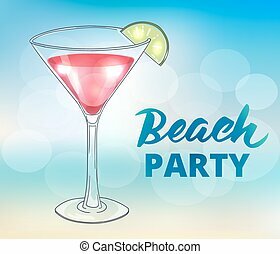 Summer background, brush lettering and hand drawn cocktail in martini glass. 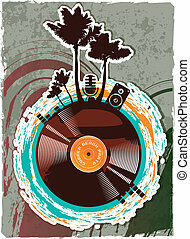 EPS10 vector illustration. 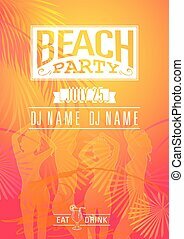 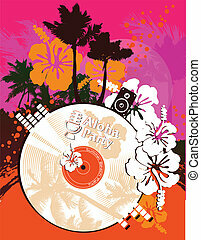 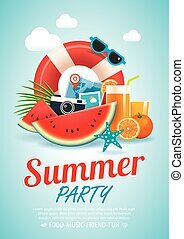 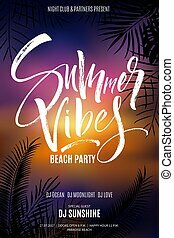 summer beach party invitation poster background and elements in A4 size.